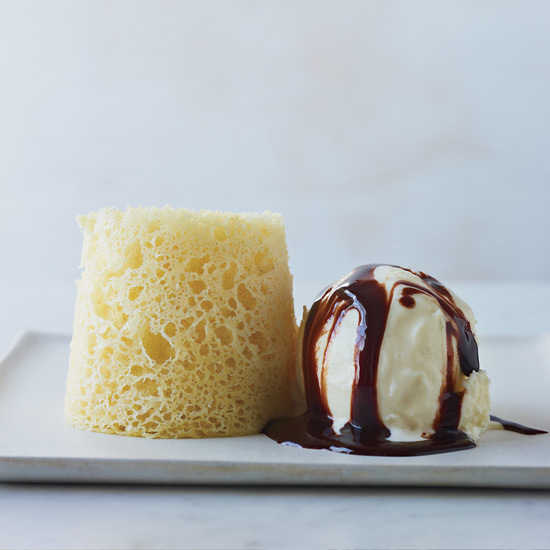 In this week’s episode of Mad Genius Tips, high-tech chef Richard Blais revealed how to make dulce de leche in just one step. It’s a superuseful tip (especially if you have a sweet tooth and no patience), but it’s not Blais’s only innovation. Here, more out-of-the-box recipes from Richard Blais. There are all sorts of tricks for making deep-fry batters both delicate and crisp. 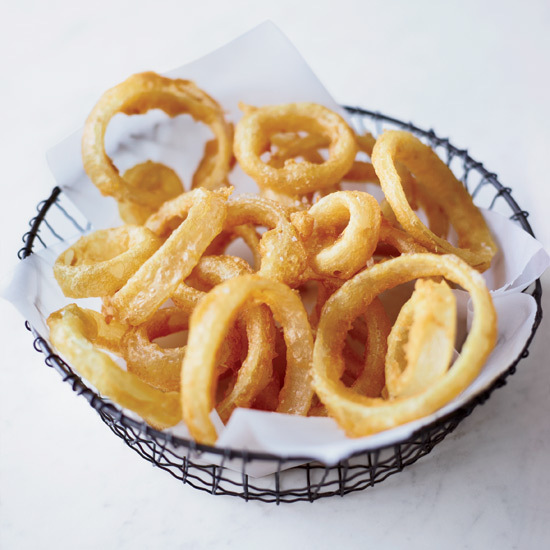 For these onion rings, Richard Blais uses both strategies and amplifies their effect by aerating the batter in a siphon. The results are some of the laciest, crunchiest onion rings you’ll ever taste. 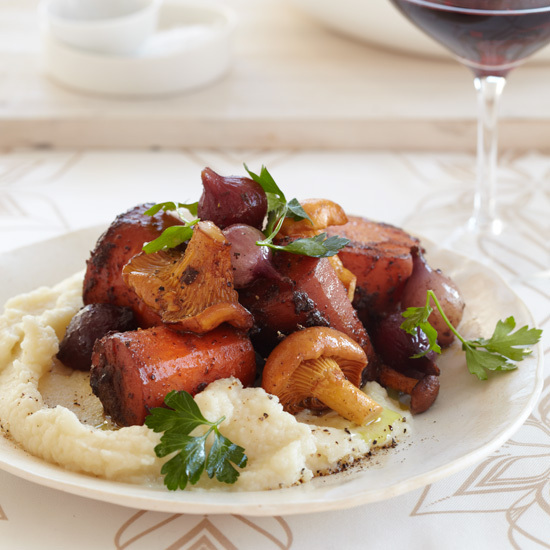 In this playful vegan take on osso buco (braised veal shanks), Blais braises very large pieces of carrots in red wine and mushroom broth until tender. 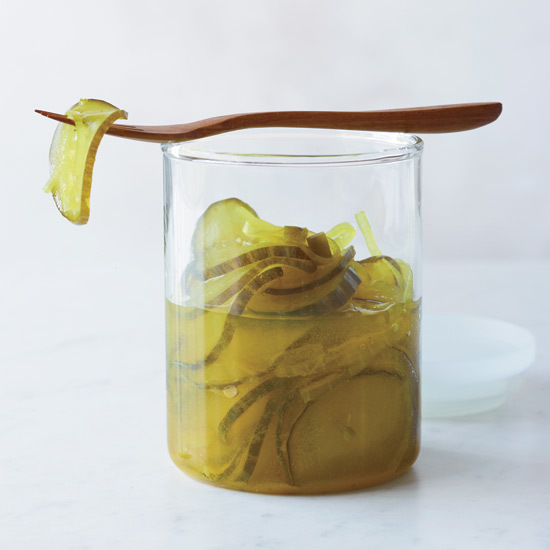 Even so-called quick pickles can take several hours or overnight to marinate. But fill a siphon with pickle ingredients and charge it with pressurized gas, and the brine penetrates deep into the vegetable in a matter of minutes. Eating vegan for a month led Blais to examine his pantry more closely. 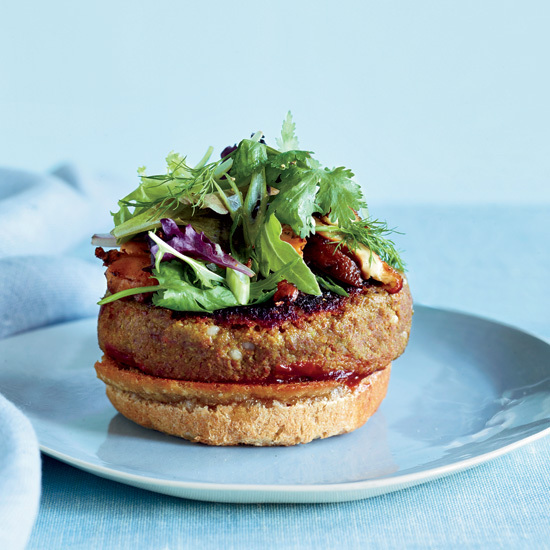 He discovered that ground porcini mushrooms add a meaty flavor to dishes like his veggie burger. Blais makes this blue-cheese foam by loading a homemade blue-cheese dressing into a siphon and charging it with gas. 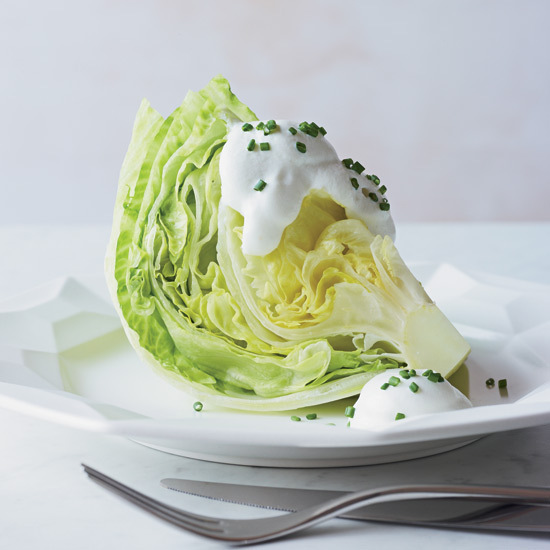 Whether you’re serving the blue-cheese foam with an iceberg-lettuce wedge that is all about cool crunch, or eating it with hot and crispy chicken wings, the light and frothy texture is a wonderful contrast. Most cakes are leavened with baking soda or powder, but here Blais uses a siphon to add air to batter. Then he squirts the batter into paper cups, microwaving each for just 45 seconds.